This week’s Gospel passage is one of the most misunderstood narratives in the New Testament. More often than not, readers of this week’s Gospel passage project a Western understanding of the circumstances surrounding Christ’s conception that lead to erroneous conclusions about the Blessed Mother’s pregnancy. The Gospel passage also provides us with insights into Joseph’s righteousness, rooted in a deep desire to do the will of God. The Gospel passage states that Mary and Joseph were betrothed. In a Jewish context, that meant that Mary and Joseph were married. When Jesus was conceived in Mary’s womb by the power of the Holy Spirit, Joseph and Mary were already married. When Jewish couples married, they entered a period of betrothal during which the groom would take up to a year to make arrangements to establish a homestead for his bride. During this period, the bride lived with her parents, in anticipation of the day when the couple could live as husband and wife in their own home. This is precisely the context in which Mary conceived Jesus. It is not the case that Jesus was conceived out of wedlock, as if Joseph and Mary merely were engaged. They were married, although not living together at that moment. Of course, Mary maintained her virginity throughout her marriage with Joseph. Nevertheless, it is not accurate to believe that Our Lady was in a crisis pregnancy, insofar as she had conceived Christ out of wedlock and was a single mother. In any case, Mary still found herself in a precarious situation. Although she was already married to Joseph, she had conceived without his aid. The Gospel passage implies that Joseph knew that such a situation warranted Mary’s death by stoning because the law assumed that she must have conceived by another man since Joseph knew that he had not participated in the child’s conception. The passage then states that Joseph, because he was a righteous man, did not want to expose Mary to the law. Hence, he decided to divorce her quietly, hoping that Mary would not have to pay the penalty for her alleged sin. 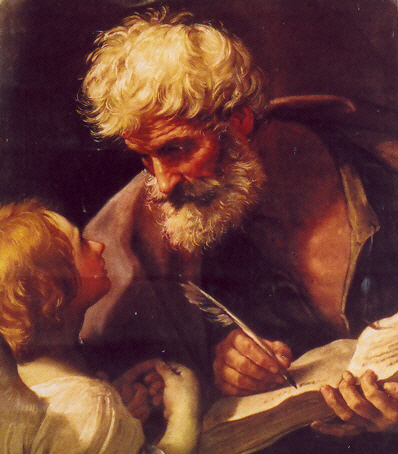 There is a pious tradition that Joseph’s motivation for divorcing Mary quietly had less to do with a fear of exposing her to the law and more with a fear growing in Joseph because he had been given knowledge of Mary’s unique status in salvation history. In other words, Joseph may have wanted to divorce Mary because he did not deem himself worthy to be the spouse of the Immaculate Conception. Joseph’s righteousness indicates less of a concern for the law and more of a reverence for Mary and Jesus. Knowing who they were and who he was, Joseph’s instinct was to excuse himself from the care of so holy a mother and child. As the Church rapidly approaches the celebration of Christmas, may Joseph’s righteousness – his willingness to do God’s will – inspire us to place our lives at the service of the Gospel throughout our particular vocations.